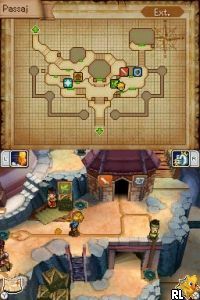 OverviewGolden Sun returns on the Nintendo DS, starring the descendants of the original game's protagonists. It is the first entry on the DS, and the first in full 3D. It was released in Japan on October 28, 2010 and in North America on November 29, 2010. After going dark six years ago, 2010 will see a new dawn. 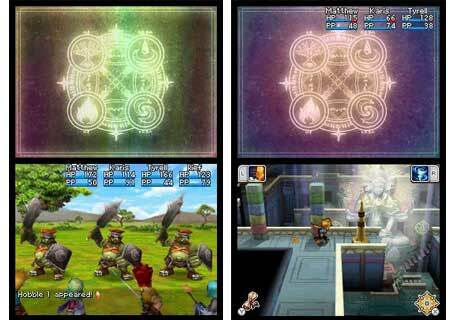 Golden Sun DS updates the popular portable Golden Sun role-playing series with an impressive graphical style. This installment follows the story of the previous heroes' descendants and immerses players into the magic of its adventure by pushing the boundaries of intuitive touch-screen controls. 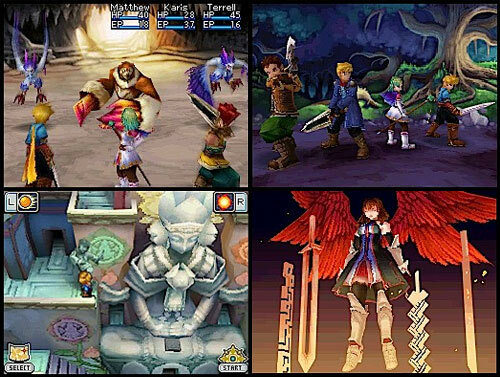 Set 30 years after the original, Golden Sun: Dark Dawn takes players to new depths and secrets of the world. With new Psynergy types and all new characters, join the children of the legendary Warriors of Vale as they make new friends, enemies, and protect the world from an unforseeable future. 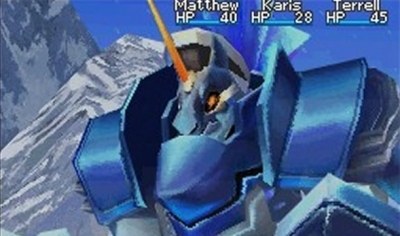 Golden Sun: Dark Dawn for the DS is a RPG in the popular golden sun series. Upon getting this game, i was very excited to play it, and i had my hopes set high. This game is very fun, however, i found that the story was rather lacking, and didn't really appeal to me. I've played the previous games on an emulator and actually found the stories better. 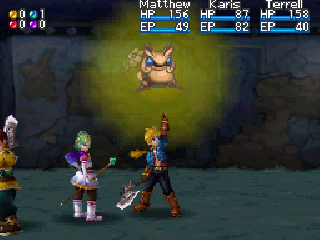 On the other hand, the Combat system is fantastic, and the sprites are pretty cool. If your a fan of RPGs, definitely pick this game up! The long awaited sequel to my favorite series ever, this game does not disappoint. The story continues years into the future, and you play as the children of the Warriors of Vale, the original heroes in the first two games. The only complaint I have about this game is the art style. I really enjoyed the serious, darker style of the first two games, and this one is more cartoony. The characters look like they're about 12, but fortunately it's easy to forget about that and focus on the amazing gameplay. 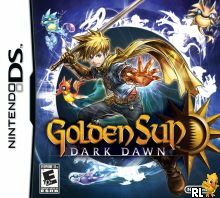 Read all 9 reviews for Golden Sun - Dark Dawn (U) Submit your description for this title! Now you can add videos, screenshots, or other images (cover scans, disc scans, etc.) 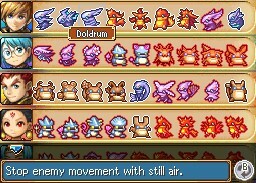 for Golden Sun - Dark Dawn (U) to Emuparadise. Do it now! If you haven't noticed yet, we have a retro game of the day feature (top-right of the screen) wherein we feature a new retro title every single day! Now, you can vote for your favorite games and allow them to have their moment of glory. 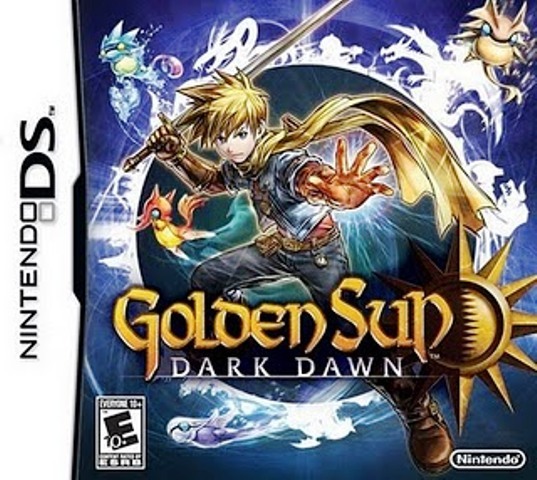 Click on the button below to nominate Golden Sun - Dark Dawn (U) for Retro Game of the Day.